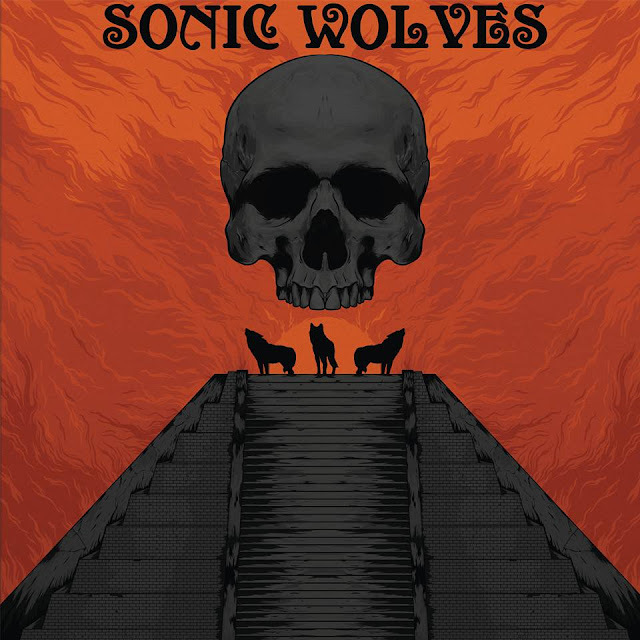 Sonic Wolves, an Italian/American collective with a pedigree that includes members and past members of such noted bands as Pentagram, Rogue State, Ufomammut and The Hounds Of Hasselvander, are about to follow up their well received debut "Before The End Comes"(2016) with their second album "Sonic Wolves" (DHU Records-vinyl, due for release 31st of October, Future Noise Recordings - CD available now, Bandcamp -digital available now). "Sonic Wolves" is an album that takes no prisoners, an album that comes out of the traps like a greyhound on amphetamines, an album focused on the finishing line and determined to get there regardless of what gets in its way, Sonic Wolves hit the listener with wave upon glorious wave of relentless bass heavy riffage driven by insistent, titanic percussion, the band hitting a groove that is doomic yet has a distinctive proto-metal, 70's hard rock undercurrent running through its gnarly veins. Bassist/vocalist Kayt Vigil decorates these dark yet strident grooves with vocals that are as distinctive as the music surrounding them , her vocals could neither be described as ethereal or haunting but possess a charm and elegance all of their own, on the albums more aggressive songs like "Grim Reaper" and "You'll Climb The Walls"she comes across menacing and almost crone-like while on the superbly atmospheric " Heavy Light" she opts for warm, husky and seductive, her voice combining with her deft bass lines here to take the song to an altogether different level. Vigil's dulcet tones are pushed and prodded throughout "Sonic Wolves" by some incredible drumming from Vita and are further enhanced by Mr Diniz's crunching chords and screaming guitar solos, the three musicians coming together to create a sound that is as delicious as it is dynamic. 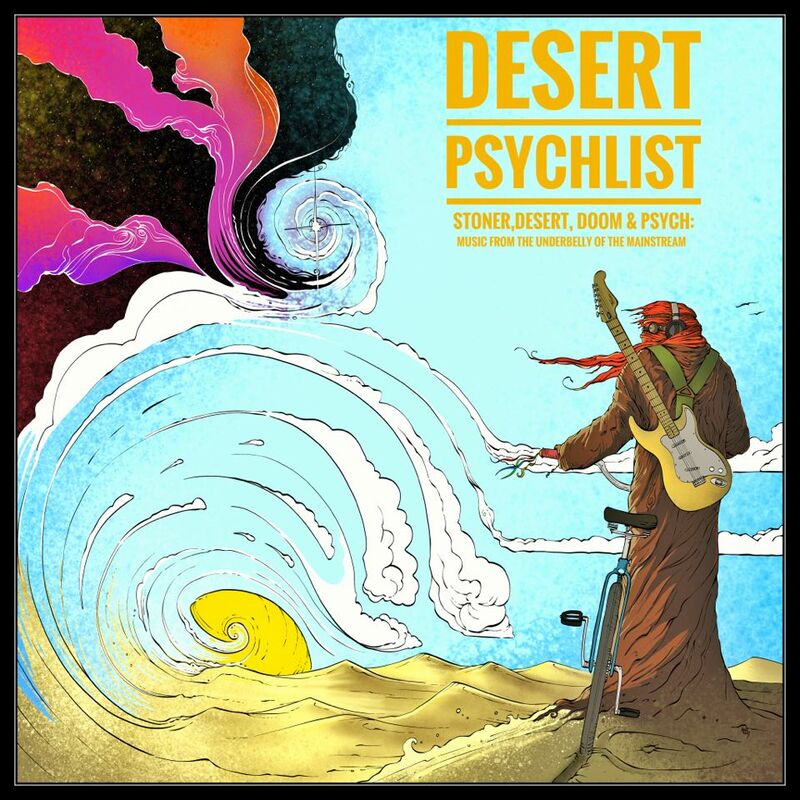 It is very rare to come across an album that does not have at least one weak track propping up its stronger material but "Sonic Wolves" is an exception, there is not a single song on the bands second album that should be skipped or just sampled, each song earns its place and makes for a highly enjoyable and satisfactory whole. Note# "Sonic Wolves" was recorded with a slightly different line up to the one that is currently treading the boards, guitar duties at the time of recording being held down by Mr Diniz (also of Temple of Dust). The band have since recruited Jason Nealy (Bleeding Eyes/Inverted Matter) and Enrico "Ico" Aniasi as guitarists but neither play on the album.